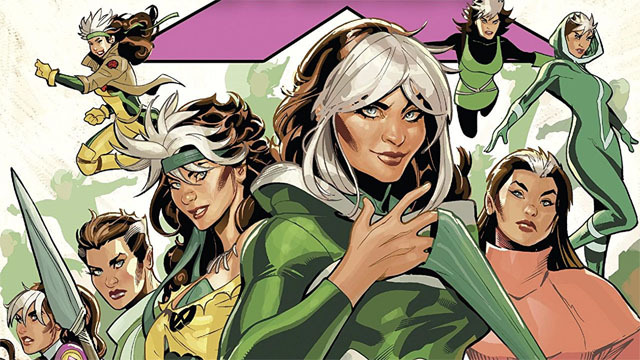 It turns out that Rogue and Gambit’s disastrous honeymoon in space had a silver lining. They weren’t whisked away into X-Man’s alternate universe or swept up into Cyclops’ Uncanny X-Men team. Instead, the newlywed heroes have been stuck in Mojoworld, and forced to act out fantasy lives for the enjoyment of Mojo and his viewers. 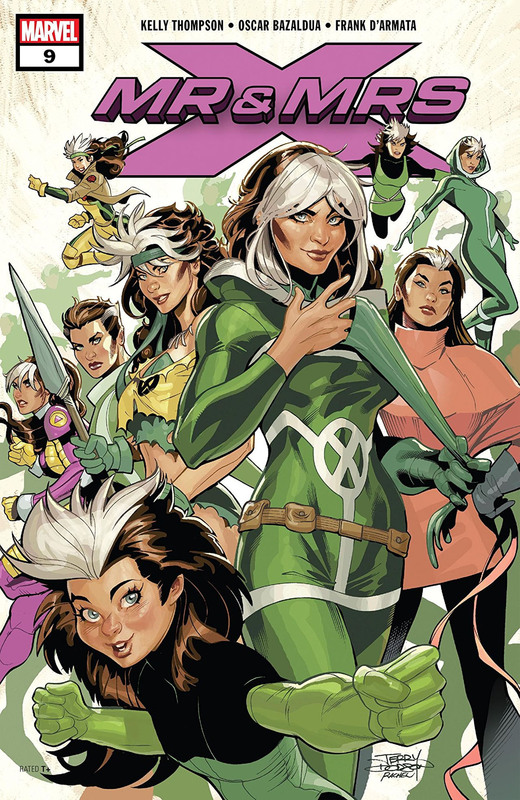 However, Rogue’s powers have changed. Now, she doesn’t even have to touch a person to steal their mind, powers, and energy. But it’s proven to be nearly fatal for anyone around her, as Gambit found when she accidentally killed him several times during their Mojoworld shows. In Superhero Hype’s exclusive preview for Mr. and Mrs. X #9, Kelly Thompson and artist Oscar Bazaldua put the spotlight back on Gambit. Near the end of the last issue, Spiral, Mojo’s right-hand woman, woke Gambit up from his haze and made a deal. Spiral offered to help Rogue regain control of her powers if Gambit agreed to retrieve something for her. In these preview pages, Thompson and Bazaldua give Gambit a few moments of self-reflection before he comes across Spiral’s treasure. And it’s not what he expected at all. This may be the reason Spiral is once again working for Mojo, even though this answer is only going to raise more questions. You can read the full exclusive preview in our gallery below. Mr. and Mrs. X #9 will hit comic book stores on Wednesday, March 27. What did you think about the preview? Let us know in the comment section below!